Hamish is recognised in New Zealand as one of the leading specialist fisheries and maritime lawyers. Since 1996 Hamish Fletcher has acted in defending many of New Zealand’s largest high profile Fisheries Investigations and Prosecutions with highly successful results. During this time he has maintained an excellent working relationship with the Ministry of Primary Industries (formerly Ministry of Fisheries). 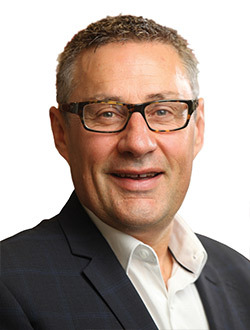 Hamish has also represented many of New Zealand’s leading fishing companies, including a particular focus on acting for Iwi-owned fishing companies and their associated entities. International clients have included many foreign fishing operators in New Zealand and both foreign and New Zealand-owned vessel operators in the Pacific Islands and Australian waters. In respect of maritime law Hamish has represented New Zealand’s largest fishing vessel insurer for over 25 years and on occasions foreign insurers. Hamish has a wide range of contacts with salvers, marine assessors, and marine and fisheries consultants. During this time Hamish has successfully represented many New Zealand vessel owners (and their insurer) in claims against other vessel owners, ship repairers, and manufacturers. Investigating some of New Zealand’s most significant maritime disasters for insurer and owner clients has allowed Hamish to build up unprecedented experience in the Maritime legal industry – including developing excellent relationships with investigative bodies including Maritime New Zealand, TAIC and the Police. Close professional relationships exist with other leading maritime Lawyers in New Zealand (and internationally) and their insurer clients. Hamish advises on all admiralty issues ranging from ship arrests to large maritime civil claims. As an experienced commercial lawyer Hamish brings a unique combination of commercial experience to the table that enables fisheries and maritime clients to have their commercial work undertaken by someone who also understands fisheries and maritime law. Hamish regularly advises on Mergers and Acquisitions, asset protection, vessel sale and purchases, charter parties, Quota sale and purchases, ACE agreements, marine farm sale & purchase and their leases, and banking and finance security documents. Hamish is married to Dinz Fletcher (Ngati Kahungunu) and has two sons: Jack Fletcher (Ngati Kahungunu), who is completing his Law Degree at Victoria University, and Hugo Fletcher (Ngati Kahungunu), a college student. Hamish is a board member of Autism New Zealand. His pastimes include walking the hills of Nelson, paddle boarding, cycling, and he is also a devout Liverpool FC fan.